After he retained the Universal Championship at WrestleMania 34, WWE officially announced that Brock Lesnar has re-signed with the company. "WWE Chairman & CEO Vince McMahon announced today that Universal Champion Brock Lesnar has re-signed with WWE," a press release stated. It also revealed that Lesnar will be appearing at the company's Greatest Royal Rumble event in Saudi Arabia later this month, where he'll be defending his title against Roman Reigns in a rematch from WrestleMania. WWE didn't disclose the length of Lesnar's new deal or financial terms for it. Lesnar vs. Reigns at the Greatest Royal Rumble will be a steel cage match. The show takes place at King Abdullah Sports City Stadium in Jeddah on April 27th and will air live on the WWE Network. A 50-man Royal Rumble match (with Daniel Bryan, Big Show, Kane, Braun Strowman, and Bray Wyatt confirmed for it), John Cena vs. Triple H, and six other men's title matches are also set for the show. What Lesnar re-signing means for his potential mixed martial arts future remains to be seen. Before WrestleMania, Dana White claimed that Lesnar would be coming back to the UFC but said he didn't know when that would be. 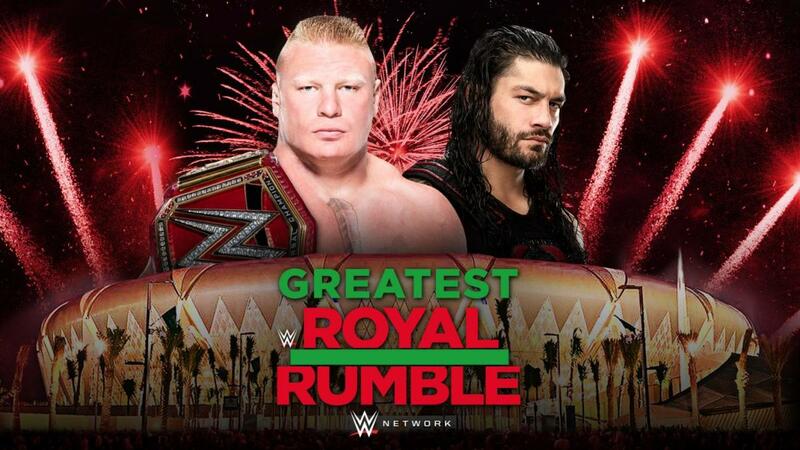 WOL: Greatest Royal Rumble, Dave Meltzer interview, Brock vs. Roman details, more!